on her head. Beside her are a jar of honey with a silver spoon, bear aspirin, and Vitamin "B" (get it?). She's even received a get-well card with hugs and kisses on it. 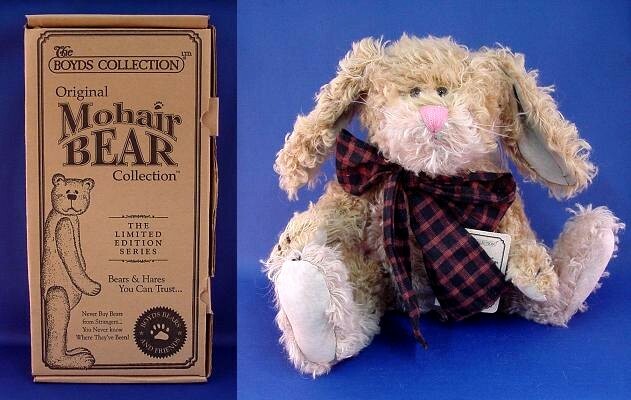 This is the 15th edition of this Boyds Bears & Friends figurine. She was produced in 1997 and retired in the same year.